The sudden downpour, complete with thunder and lightning, dramatically soaked the fields. 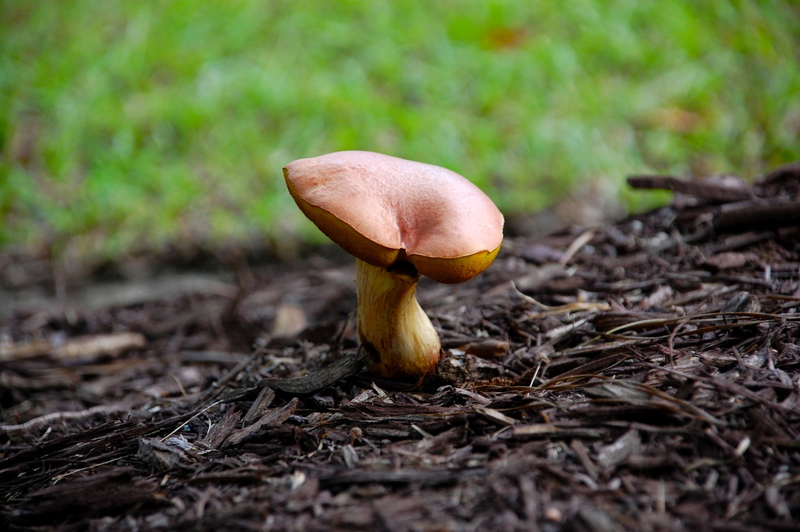 In doing so, the storm woke the fungi underlings out of their humid, languorous doze up so they could sprout up out of the ground and grow to full height overnight. The mushrooms popped up everywhere in quick spurts of growth. They took advantage of the damp conditions and the cooler air, knowing that the scorching sun of morning and the increasing heat of the day to follow would fade them quickly. This darling mushroom is puckering up, reading herself for a kiss from one of her neighbors who has yet to burst out of the ground. She will be ready for love, for she strives to attract a companion quickly, while the night is still young. She possesses smooth and voluptuous lips with a sensual curve and she uses lipliner to define and highlight her assets. With a gentle tilt of her head and a curve to her hip, this coquettish mushroom whispers, “Come here, baby,” to all who might discover themselves nearby. How alluring she is, planted and posed so perfectly. Although she cannot move, she can use her shape and color to bring the wanted ones to her. Ah, the power of attraction! Dear shroom-weed, you have mastered the art of beauty and allure, and are certainly deserving of a kiss. Thank you to my dear friend R.D., who took time out from his busy day to indulge me and my obsession. Thanks for looking out for weeds for me!